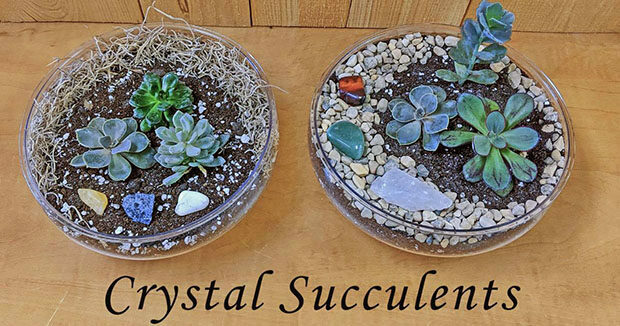 Come learn all about Succulents and Cactus and plant your very own terrarium garden with us! Plants, soil, dish and crystals provided in the very reasonable price of just $15 - $25 (depending on size of container and number of plants). Other embellishments such as moss and small pebbles will be provided to decorate your terrarium! Instructions will be provided on how to care for these amazing plants once you take them home! happening May 30th to June 2nd in both the Studio and Rock Shop.